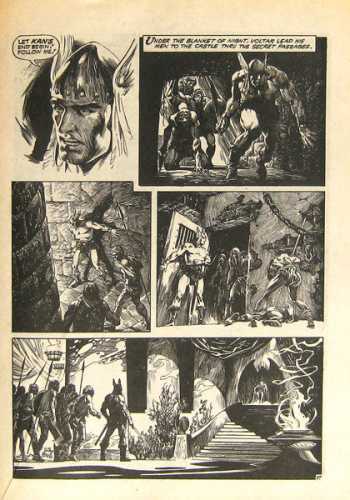 Voltar is a 31-page sword & sorcery story in Alcala's unique pen style. 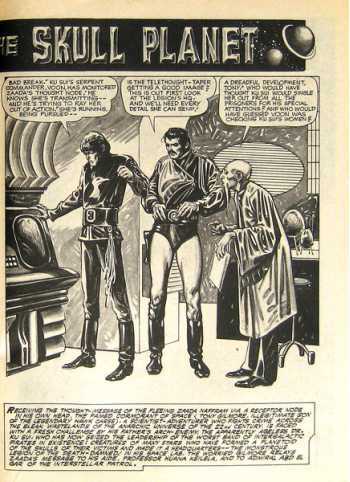 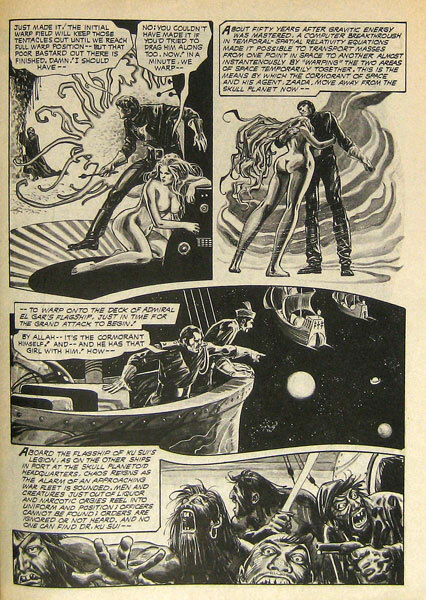 Buccaneers of the Skull Planet is a space opera by Bill Blackbeard. 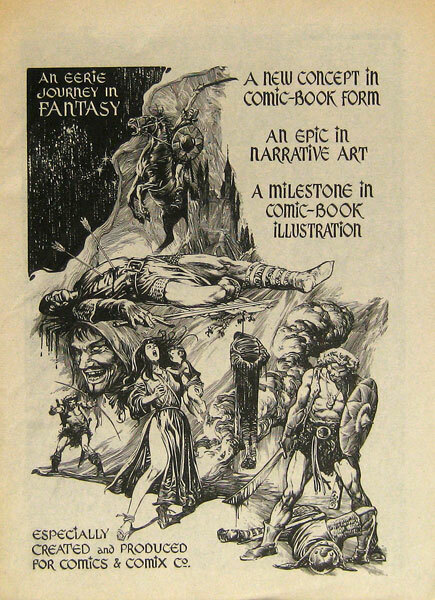 Wraparound color cover painting by Alcala.